Long buried family secrets come to light when Tiffany is sent to pack up her dying grandmother’s house. We can never know all the secrets our ancestors held in their hearts, but what if there was a locked room in our grandparents’ house that gave us a glimpse into the past? 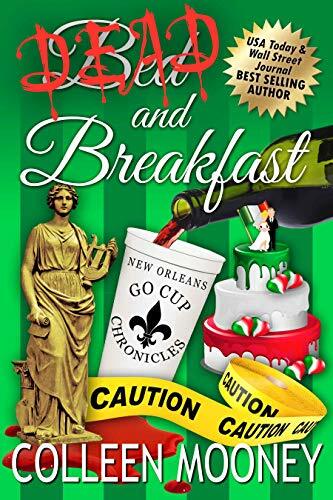 When Tiffany Warren comes to her grandmother’s house to pack it up, she finds such a room, and curiosity drives her to find the key that will open the door. After searching the house, she finds it, and when she opens the door to the mysterious room, what she finds will change her life forever. 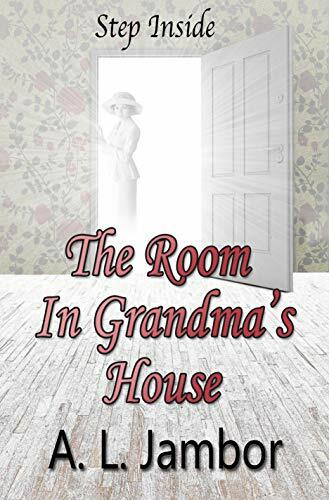 Click here to pick up your free copy of The Room in Grandma’s House in the Amazon Kindle store. Any place can be a prison. The Lincoln Park Shifter School: not your grandma’s uber-secret, underground academy. 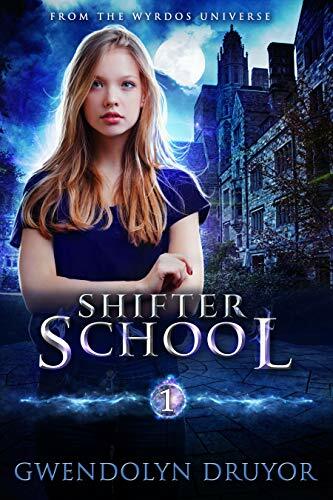 Click here to pick up your free copy of Shifter School in the Amazon Kindle store. Earth has been a scarred ruin for 3 decades, its scattered people struggling to endure amid the poisoned and radioactive wreckage of the final war between its despotic Superpowers. But humanity survives, out on the frontier, growing and looking boldly to the future. But man has never been able to live in peace, and even Earth’s sad fate has failed to slow the call to war. Lacking the resources to sustain their own armies and navies, the worlds look to the mercenaries of the Great Companies for aid, futuristic condottiere who contract themselves to the highest bidder. Darius Cain is the leader of the Black Eagles, the most renowned of the Companies. The Eagles command the highest rates of any of the Companies, and leaders bankrupt worlds to pay their price. But there are signs of a force working in the shadows, waiting for the right moment to launch a final war to reduce all mankind to slavery. As Cain slowly uncovers the truth, he must forge an alliance among old enemies, the other Companies his soldiers have fought for years…and the twin brother he hasn’t seen in a decade. The Crimson Worlds are about to explode into a war that may be mankind’s last. Darius Cain’s veteran warriors have fought dozens of battles, and they have never met their equals. But there is another power, The Triumvirate. For decades, it has operated in the shadows, interfering secretly in the affairs of the colonies while steadily building an invincible war machine. The Triumvirate fears the Black Eagles, and the decision has been made. Darius Cain’s private army must be destroyed before the final invasion of human space can begin. A message reaches the Eagles’ base, word that the father he’d thought long dead might still be alive, a captive of the shadowy enemy. Darius Cain is skeptical, but he didn’t build the greatest military force in human space by being cautious or timid…and even the slightest chance his father was alive compelled his course of action, and leads him to a highly-developed planet called Eldaron, ruled by a dictator who calls himself the Tyrant. Darius knows he is walking into a trap, but he has no choice. He will free the prisoner of Eldaron…or he will extract a vengeance beyond the imaginings of dark nightmares. The Triumvirate. Three clones of Gavin Stark who survived their evil master’s destruction. Now they have cheated death again, downloading their minds into an alien intelligence, a relic of the First Imperium. Vali, a secret planet, a hidden and haunted world covered entirely with factories and fortifications, worked by legions of slaves, the kidnapped and forgotten of a thousand worlds, working in darkness, building the tools of war for their masters. Erik Cain, the legendary hero of the Marines Corps, the man who killed the real Stark. For years he was a prisoner, held in brutal captivity on a dark world. Now he is free, and ready for the final struggle. Darius Cain, Erik’s son, and the commander of the feared Black Eagles, the greatest of the mercenary Companies. Darius freed his father, and now he is ready to rally the free forces of human space. Augustus Garret, the legendary admiral. He is old, but the same heart beats within his chest, and he will stand with the Cains, fight alongside his old allies one last time. From the barren ruins of shattered Earth to the farthest reaches of human habitation, the final battle has begun. The Cains and their comrades are outnumbered, facing an enemy that has spent three decades preparing for its final conquest. But the blood of warriors flows in their veins, and they will never stop, never slacken, no matter the cost…not until the battle is won. 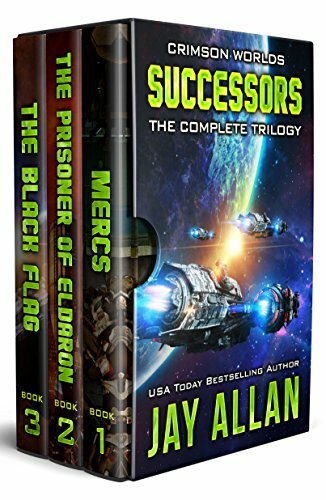 Click here or type in http://geni.us/crimsonworlds into your web browser to pick up your copy of Crimson Worlds Successors: The Complete Trilogy in the Amazon Kindle store. 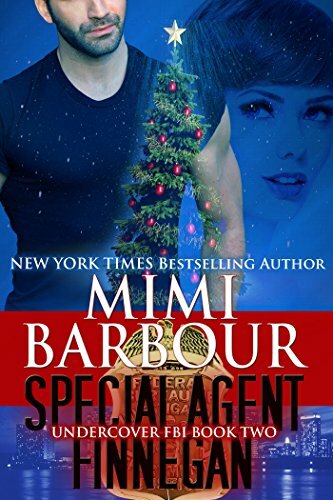 Click here or type in http://geni.us/specialagent into your web browser to pick up your copy of Special Agent Finnegan in the Amazon Kindle store.